I looks like an op-amp generator. We manufacture professional true random number generators, and some use a similar configuration with operational amplifiers. We always build these generators using a sheild against external (intentional) noise, to prevent the generator to be controlled by external means. An example would be the TRNG9815. Isn't it an unstable oscillator? 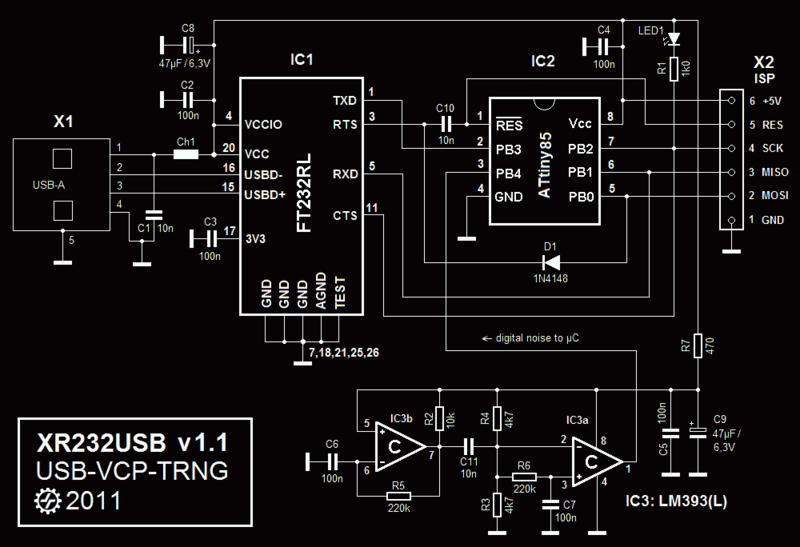 There is no feedback on the last op-amp, that work like a comparator? There is BIG difference between just "random" and a professional generator. The stakes are also a bit different. Game servers run in some kind of vault in Malta, so you can not just knock your screwdriver against it if there is a glitch.